If you are looking for a used Porsche Boxster in Vancouver, North Vancouver and surrounding area, the Goldline Motors sales team will be able to satisfy your needs. 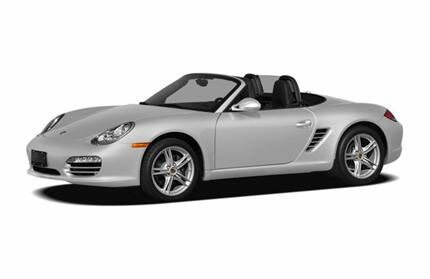 Goldline Motors always has a great selection of pre-owned Porsche Boxster in stock and add to the vehicle inventory daily. At Goldline Motors we proudly sell and service used Porsche Boxster to customers from Vancouver, North Vancouver, Richmond, Burnaby, Surrey, New Westminster, Coquitlam, Delta, Abbotsford and Victoria. The Porsche Boxster is a two-seater mid-engine roadster reminiscent of the legendary Porsche 550 Spyder. The second-generation Boxster pays homage to its roots with the inclusion of a lightweight open vehicle concept Spyder model, showcasing a unique removable canvas top. The rear-wheel drive Boxster is offered in four variants: Base, S, Spyder and Black Edition. The Base gets a 255-hp 2.9-liter flat six-cylinder engine; all other variants get a 3.4-liter flat six-cylinder with direct fuel injection, producing 310 horsepower in the S variant and 320 horsepower in the Spyder and Black Edition. Source: Chrome Data. 2012 Porsche Boxster Review: Light and eager, the Porsche Boxster steers through the corners like a roller skate, as always. -- Automobile........the revised intake and exhaust manifolds enhance the throttle response, and the bigger-diameter dual exhaust adds the perfect soundtrack. In short, this new engine provides sports car nirvana and is reason enough alone to drive with the roof down. -- CAR.....God's own steering response, glorious engine note, excellent transmission. -- Car and Driver. Source: Chrome Data.